This last weekend we spent a lovely couple of days away on the Yorkshire coast, Filey to be precise. 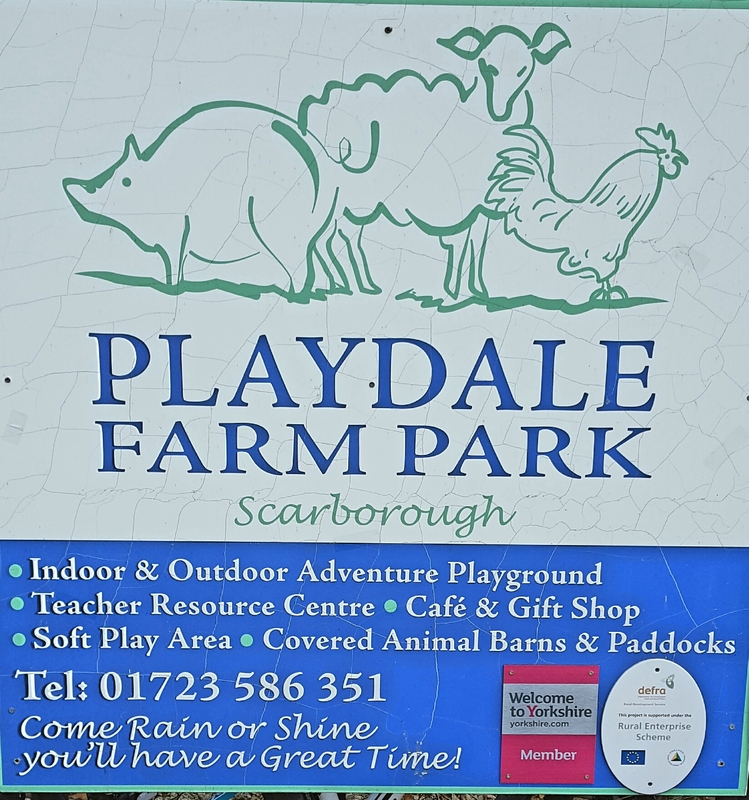 Whilst there we visited the wonderful Playdale Farm, in Cayton village just a few miles down the coastal road. I’ve always loved the Yorkshire Coast, and Filey in particular. We used to go there a lot when I was a child, staying at sites such as Muston Grange and Country Park in my grandparents touring caravan, and the odd stay at Reighton Sands, before my parents at one point buying a caravan on Primrose Valley. So it made sense that we take our own family there and introduce them to the delights of the area as early as possible. 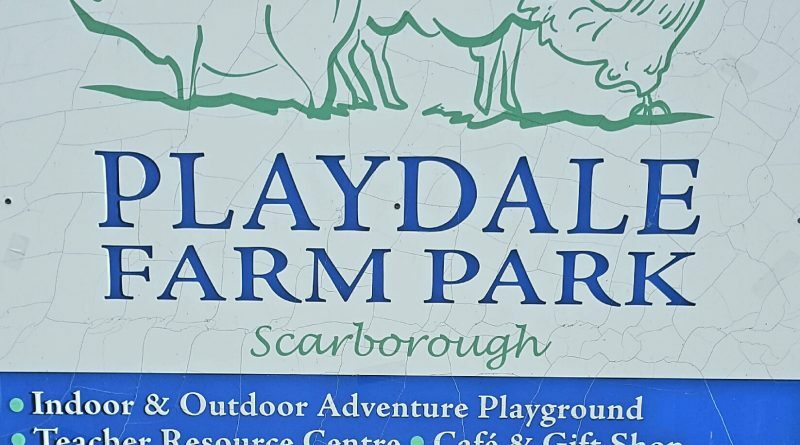 One thing that we didn’t have when I was growing up though, was Playdale Farm in Cayton Village, a lovely working farm with some great attractions for the whole family to spend a few hours exploring and having fun. We’ve actually been a couple of times before and now, whenever we’re in town, it’s becoming a must visit place for us. Situated off of Carr Lane in Cayton you approach the farm by driving up a typical farm track, with fields all around, for me really starting off the visit nicely, I love the fields all around. This time was interesting in fact because the last time we came the fields had all been ploughed and now they were full of crops. 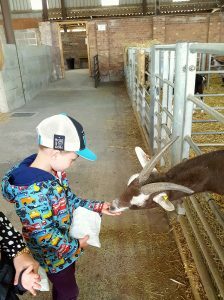 The farm is open every day from mid-March until mid-September and closes at the end of October. Entry is £6 for kids and extra 25p for adults. 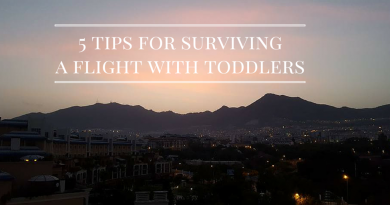 Under 2s are free. You can also buy bags of food to feed the animals for 50p a bag. Once you’re through the reception area you’re faced with your first big decision of the day – what to do first? We headed straight for the farm animals, feeding the goats (some were heavily pregnant and not allowed to be fed), which was great, although J-Bubb wasn’t so sure at first. NJ took to it like an old hand. After the goats, at the back of the shed were pigs, some small ponies, even a skunk! 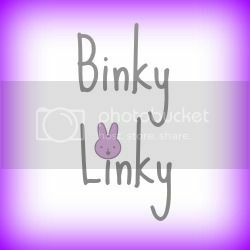 There’s an area full of chicks in various stages of growth and then a couple of huge rabbits and some guinea pigs. You can take your children in to pet guinea pigs at certain times, which both my boys loved. Once we’d seen all the animals we headed outside, NJ knew what was around the corner. 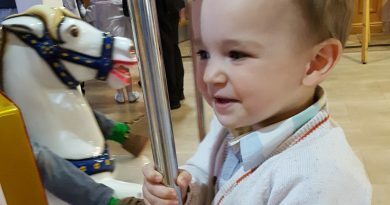 There’s a small play area, more for smaller children, J-Bubb handled himself quite capably climbing up and sliding down again. What NJ was looking forward to though were the great pedal go-karts. He loves them and could totally do more on his own than last time we were here. J-Bubb had to make do with hitching a ride with mum or dad. After the grand-prix we headed for some lunch in the café where there’s some solid options for lunch. It’s reasonably priced (£4.95 for a jacket spud, £6.95 for a great cheese burger, I can’t remember how much the kids lunch bags were but remember thinking they were great value). If you want to make your day even cheaper you can bring your own lunch, there’s a large picnic area too. After lunch we headed to the giant, metropolis play area, full of things to climb up, slide down, run across and hang from, a really brilliant piece of kit, and one of the best I’ve seen. 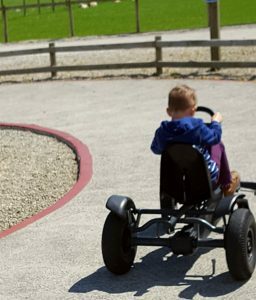 If the weather’s not too great, or even if it is and the kids want to do something different, there’s a large undercover sand pit area and then there’s also an indoors soft play area, with parts suitable for little ones as well as over 5s. The last thing we did on our visit, before treating ourselves to a well earned ice cream, was stop off and help with feeding the lambs. This was great for the boys, and even though we were one of the last to get a turn, it worked out brilliant as NJ got to give a whole bottle, whilst J-Bubb looked on and the lady handling them chatted to him for ages about it, which was awesome for him. Two tired boys and a chin-full of ice cream later and we were done for this visit. 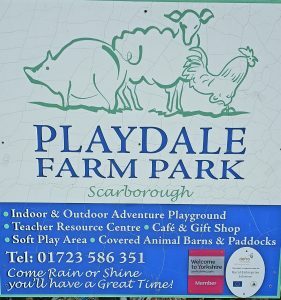 All in all a highly recommended day out if you’re on the Yorkshire Coast. Access is great, there’s changing facilities and as you can see, there’s absolutely tons of ace things to do. Looking forward to out next visit already. ← 10 awesome things I’ve learned since becoming a dad! Living Arrows 22/52: You spin me right round! I can’t recommend it enough Adam, if you can you should! I love Filey, where do you stay? We have only done day trips before but are staying near Pickering for this visit. 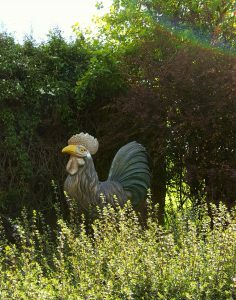 Pickering’s a lovely area too – some great places to stay on the coast though, we generally stay in a caravan but have camped before too. How funny that there’s a skunk! 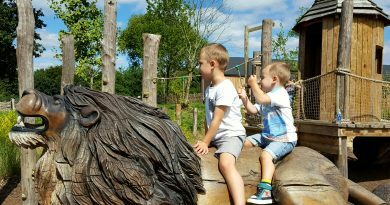 The farm looks amazing and that metropolis play area is absolutely spectacular! I want to play! 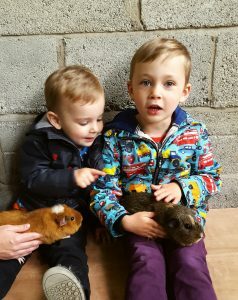 That photo of your two boys with the guinea pig -the love between your kids shines out, especially because J-Bubb is more interested in his brother’s guinea pig – classic little brother! What a great day out, I’m not surprised you visit regualrly. yup! 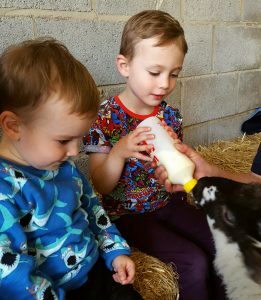 We love farm visits, this is one of our favourites – thanks for reading!